Left to right: Joseph P. Flagg (Class of 1930), Wesley P. Cushman (Class of 1931), Mary Flagg, and Harrison M. Davis, Jr. (Class of 1930). 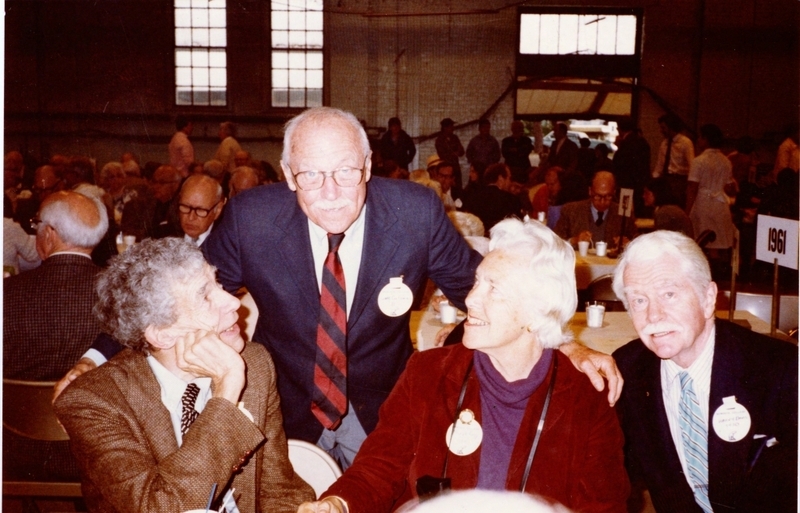 This snapshot was taken at the 1982 Commencement luncheon where the Classes of 1930 and 1931 held a joint Reunion. Flagg, Joseph P.|Cushman, Wesley P.|Davis, Harrison M., Jr.